Bitcoin has been making waves around the world in how people make and accept payments. After a rapid rise, this new form of cryptocurrency has gotten attention worldwide. If you’re still confused about it, Bitcoin is a digital form of currency which works peer to peer with no main bank in place. Bitcoin’s growth has exceeded expectations and now has many bitcoin ATMs all over the world. 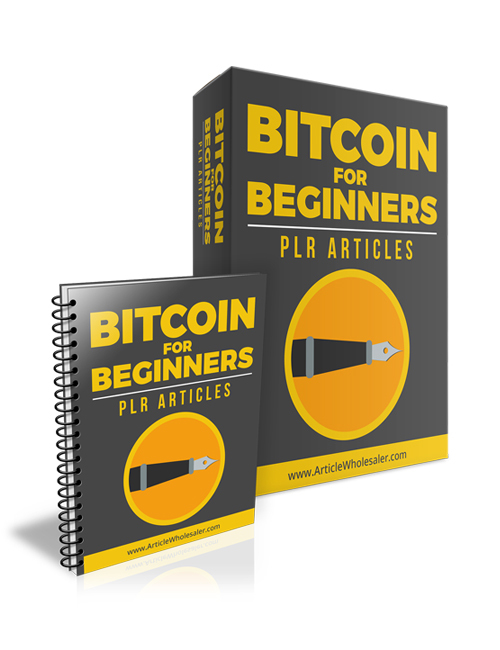 In this pack of plr articles, you’ll discover everything you need to know about the Bitcoin craze. You’ll learn about common scams, essential facts and frequently asked questions from skeptics, how to make money, alternate digital currencies, pros and cons, where and how to get Bitcoin and much more. If you’re in the Bitcoin space and need material to help educate your audience or to build your blog for more traction in the search engines, this pack is a no brainer. Content is a key factor in website growth and this is a great source for you to use in order to compete and ultimately leave your competitors in your dust. Get it now.